Make It Better Contest Winners! With a bit of a delay, we are excited to announce the winner of our Make It Better Contest! 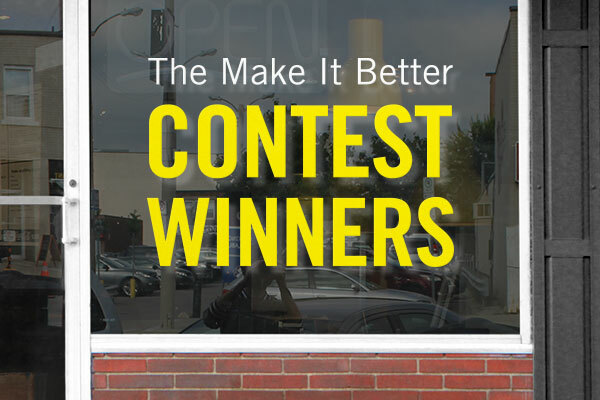 The Make It Better Contest was launched to give small businesses the opportunity to win $10,000 worth of our products and marketing to help grow their business. 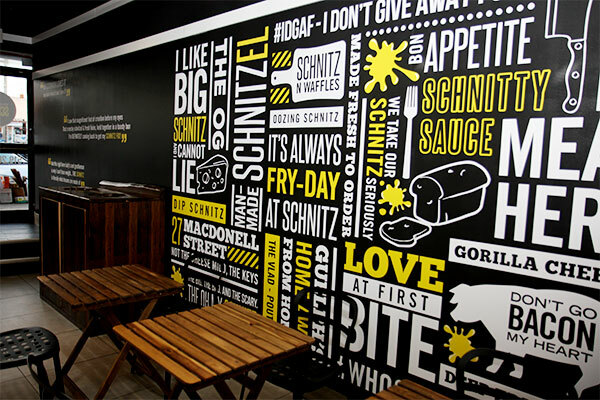 The winners can use their prize to redesign their storefront through a fresh use of wall decals and window decals, product labels, stickers and more. These revamped storefronts and labels can help to drive traffic, enhance their brand image and increase customer satisfaction. In the process, applicants are able to gain media attention and interest into their business from the contest platform. We’re so thankful for everyone who participated and those that voted in the contest! By the end there were over 700 applications with 49 finalists until a final winner was chosen. 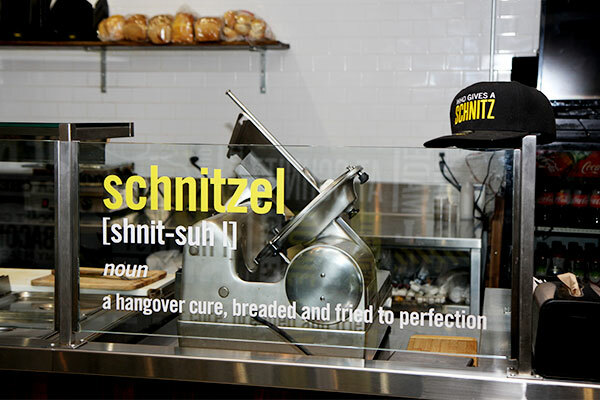 A big congratulations to contest winner in Canada: Who Gives A Schnitz! 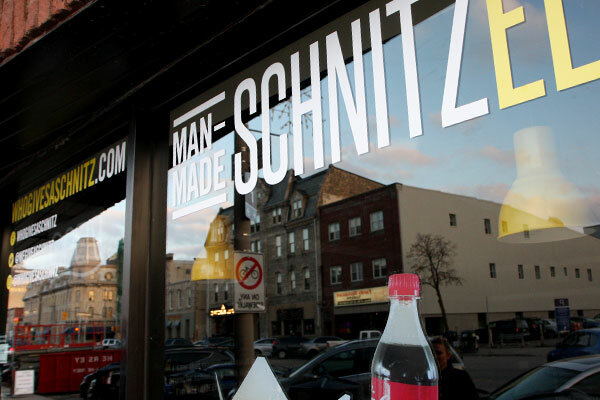 Who Gives A Schnitz is a schnitzel restaurant located in Guelph, Ontario, that was founded by three young entrepreneurs Mirelle Shimonov, Lirom Shimonov, and Corey Paris with one common dream: to introduce the best schnitzel sandwich in town. The trio credits their tight knit community to their success, expressing that not only their customers, but the community as a whole played a large role in their success. 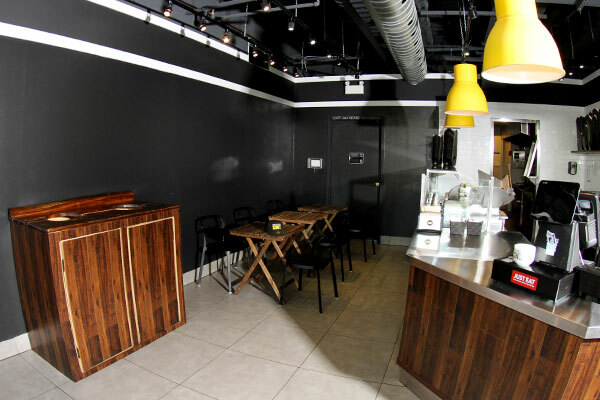 Here are some highlights of their store's transformation. We’d also like to congratulations our U.S. contest winners: The Knight Butcher! 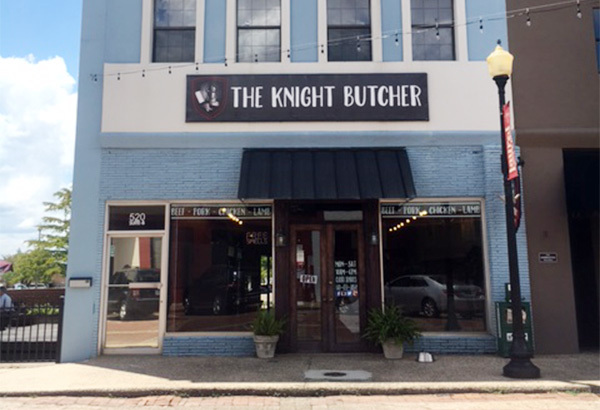 The Knight Butcher is a Laurel, Mississippi based Butcher Shop owned by husband and wife Chad and Terri Knight. Chad’s 13 years of experience in the meat industry paired with Terri’s background in sales and business make the perfect combination for this successful butcher shop business. A big thank you to all those that participated, we hope to see you again in our future contests!